Awang, N., A. Azmi, S. (2015). Exposure to Air Pollutants and Its Relation on Lung Function of Kuala Lumpur Central Ktmb Depot’s Worker. 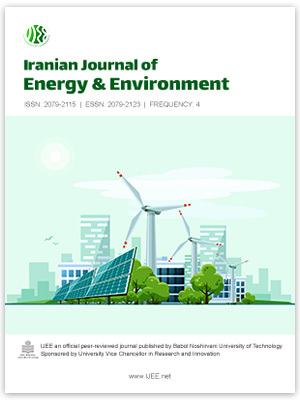 Iranian Journal of Energy and Environment; previously called: Iranica Journal of Energy & Environment, 6(2), -. N. Awang; S. A. Azmi. "Exposure to Air Pollutants and Its Relation on Lung Function of Kuala Lumpur Central Ktmb Depot’s Worker". Iranian Journal of Energy and Environment; previously called: Iranica Journal of Energy & Environment, 6, 2, 2015, -. Awang, N., A. Azmi, S. (2015). 'Exposure to Air Pollutants and Its Relation on Lung Function of Kuala Lumpur Central Ktmb Depot’s Worker', Iranian Journal of Energy and Environment; previously called: Iranica Journal of Energy & Environment, 6(2), pp. -. Awang, N., A. Azmi, S. Exposure to Air Pollutants and Its Relation on Lung Function of Kuala Lumpur Central Ktmb Depot’s Worker. Iranian Journal of Energy and Environment; previously called: Iranica Journal of Energy & Environment, 2015; 6(2): -.